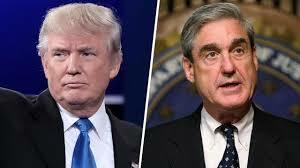 The latest news coming out of washington DC is that special counsel,Robert Wuller,has officially convene a Grand Jury to look at Russian interference into the vote of 2016 ,and the presidential election . As well as the meeting between Donald Trump Junior, and arussian lawyer and whoever else was in the room at the time,that meeting has drawn scrutiny after achain of emails reealed the Russians may have provided dirt on Hillary clinton to Trump Jr. and others at the meeting thought they deny that was the case. The wall street Journal is reporting that Robert Mueller, the special counsel appointed to oversee the probe,has impaneled a Grand jury in washington to investigate allegations of Russia’s interference in the 2016 elections. No Comment to " Special Counsel Mueller Impanels Grand Jury In Russia Probe "